Former Italian Prime Minister Silvio Berlusconi has called the 2014 Crimea referendum that led to Crimea’s reunification with Russia “democratic and valid.” He also called Russian President Vladimir Putin the best leader in the world. “87 percent of Crimean citizens voted, 93 percent voted to cede from Ukraine, voted to be an autonomous republic, voted to become part of the Russian Federation,” Berlusconi said in a speech in northern Italy broadcast on television, as cited by the Reuters. The former Italian leader noted that people of Crimea are happy that they are not subject to the current Ukrainian government, which was not democratically elected, but came to power through a coup. Silvio Berlusconi, 79, also emphasized the positive attitude of Crimeans towards the Russian president. “You should see the love, the gratitude and the friendliness that welcomed Putin in Crimea,” Berlusconi said. “Women threw themselves into his arms saying, ‘Thank you, Vladimir! Thank you, Vladimir!’” he added. The Italian ex-Prime Minister also criticized western anti-Russian sanctions adding they are harmful to the Italian economy. Berlusconi said that he likes the attitude of Russians towards him. “Russians have given me a nickname, which I like very much. That is ‘heartbreaker,’” the ex-Prime Minister joked. Berlusconi, who maintains friendly relations with Russia’s president, is arguably the most famous EU politician to visit the Crimean peninsula after its unification with Russia. He allegedly wanted to make the trip to see what was happening there, to understand how the locals live, assess modern trends, and meet representatives of the local Italian community. 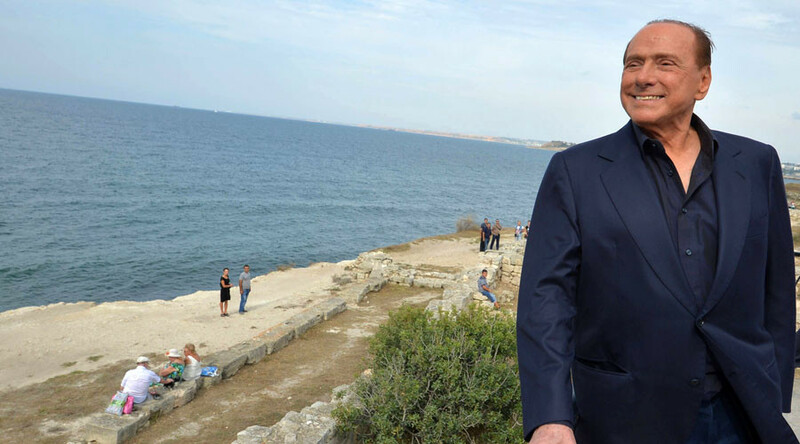 After an informal meeting with the Russian president, who showed him some of the Crimean sights, Berlusconi said that he was deeply impressed by Crimea.